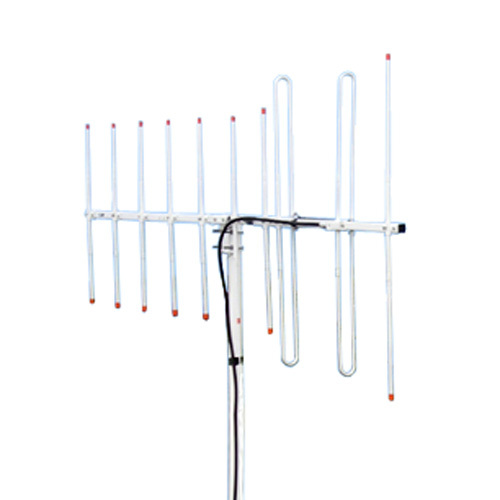 The Y102B-130V is a 118-136 MHz air traffic control 10 element yagi antenna. The use of multiple driven elements allows these Yagis to achieve high gain levels throughout their entire specified bandwidths. A single TACO Yagi's operational band typically covers a frequency range that would require as many as 3 standard Yagis. Included is a fiberglass mast fitted with coupling that center mounts to standard tower masts.